I am one of those that never abused or cursed the people of Ekiti on the choice of the Governor they elected in the last gubernatorial election of the state. In fact, I stopped talking about Ekiti politics the moment the result of the said gubernatorial election was announced; I even congratulated and wished the Governor-elect God’s guidance in his new ‘adventure’. 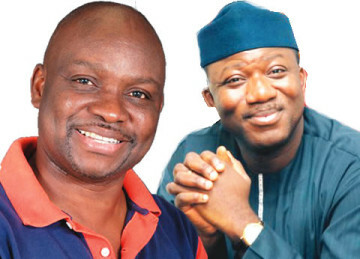 But never for once in my private discussions with my Ekiti friends (I have them handful) did I stop letting them know that though JKF lacks the kind of ‘were-lafi-nsoko-were’ kind of skill to survive our typical Nigerian political terrain, it is a grave mistake on the part of the Ekiti electorate to have elected that lairy young man as their Governor. This is the first time I am coming public with this. I think I should fear for my life, especially during this period, as that young man has been sworn-in as a Governor yesterday. We all are witnesses to what this man that claims to have gone to the Cross, repented and came back to serve his people, had said and done just few days before his swearing-in; so I make bold to say that in the light of this antecedent, the people who compared him to a fox should be prepared to run out of town as he becomes the substantive Governor. But let me borrow a sense from our most esteemed WS, to speak now before I forever hold my peace: “you can take a hippo away from the swamp, but never can you take the swamp out of the hippo”. Lucifer! Politics is an interesting discipline. To some, it is a job and to others a vocation. Regardless of how they view themselves within that field, politicians are people who you help make their own dreams come true but, in turn, they turn around and shatter yours, especially, when respect for the rule of law is only mirrored in their smiles. Their characters are typically questionable. They are like those Christians who hold on to their faith only on Sunday, but go about the rest of the week heartless as rabid dogs. For the heart pricked (those with hearts), it is a no-go zone. They make piddling progress through a prodigious budget and shameful clerkship. Here is one of those places where a politician will stand on the graves of people to whose murder he is intrinsically connected, giving speeches about the departed. Most times, he would blame the deaths on the disorderliness of the victims, when in actual fact he should have been proactive by putting measures in place to prevent such incident, as well as ensuring that the emergency response is quick and adequate in the occurrence of any emergency. He would not bother to ask reasonable questions; but would rather defend the rot with plausible alibis in a shameless show of his myopic intelligence. Still, he will walk the streets free and safe, with pay from the commonwealth of the victims of his mediocrity. A very sorry case! Aside from the daily rapine of our treasures and dignity, politicians, here, fully and readily support all sorts of irrationalities, and are even ready to fight and argue in their favor on the floor of the legislative houses; so that their drunkenness can be legalized with their moronic “ayes and nays” that beget many public irascibility. How much some men, depraved as they are, would shamelessly and publicly exert their perversion and power? It would be another general elections in few months. Political jingles, rallies, campaigns, debates, accusations, counter-accusations, backbiting, backstabbing, blackmailing, alliances, accords, coalitions, even intrigues used in hoisting and ousting one another. These are elements of this period, especially when there are so many questionable candidates jostling for political posts. “Vote for us! We are the reformists! We will Joshua you to the Promised Land and that is why we are giving you the new Messiah who will steer the wheels directly to Canaan.” All of the hyperbolic shouting says so. They sound so sweetly close to the people as they pretend to identify with the challenges that people face in their daily lives. They promise to tackle all of these and those issues in their talk with out-of-this-world solutions to ageless, deeply entrenched problems. Promises they know they will never keep. They even promise, within two weeks of their assumption of or resumption in office, babies to childless women. Not that people want pity or a saccharine kindness from these guys, all they ask from the stratagem of the politicians is to have some human sense about it and not to steal the commonwealth of the nation blind by self-enrichment. These politicians always find a means to seek some personal gain however they can. Even the intelligentsia fall for their sugar- coated tongue. So how intelligent does that make the intelligentsia? Corporate governance in government, public stimulus-response; servant-heartedness; respect for civic and civil rights, transparent leadership, probity, and equitable distribution of wealth, of all these, none is extraordinary in what the masses are asking for. The law that is to bind, is blind to its own atrocities at the push of the benighted, though cognizant enough to know that it is repulsive and wrong actually. Many attorneys, am sure will be jostling for accounts of politicians now as they know there will be many litigation battles after the elections: where there are champions and winners. The winners win by the results, while the champions win the votes and wrestle the results to the ground. INEC will also be appearing in court. We are all in a big mess if we continue voting the wrong set of people into our political offices. We will live to pack their s**t even long after they have left office. Let our thumbs save us to avert further kitikiti in our land.